The sea is no more of a mockery than the emergency ditch. Both take their toll regardless of circumstances, supplications or bribes..
A curse rests on the young Ivo: as soon as his wife becomes pregnant, he will be devoured by the sea. That was how his father sank, and so was his twin brother. But that you cannot escape your fate knows that anyone who has ever heard of Oedipus and if it is in the stars that your life ends in the waves then you drown, even if there is no sea nearby. As it were, because the sea, which is audibly present in 'The Children of the Sea'. From the first notes of the overture you can hear the noise, swells and storms... How visually you want your notes to be? It can't be more visual, it's expressionism at its best. 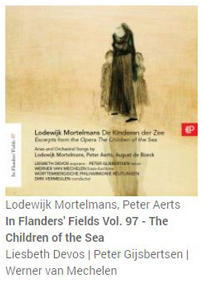 'The Children of the Sea' of the Belgian composer Lodewijk Mortelmans (1868-1952) had his premiere in 1920 - unsuccessfully - and the disappointed composer adapted it into a 90-minute suite, half of which has now been recorded by Phaedra. The late-Romantic idiom appeals to me greatly, as does the story in verses by Raf Verhulst. What's more, I'm pretty impressed. The performance is more than sublime. Dirk Vermeulen makes the Württembergische Philharmonie Reutlingen play as if their lives depend on it, breathtaking! Liesbeth Devos (Stella) is a true discovery for me. Her crystal pure soprano is extremely pleasant to listen to and to admire. Peter Gijsbertsen sings a moving Ivo, in that role he is truly inimitable to me. How beautiful and warm his voice has become! Werner van Mechelen (Petrus) completes the cast out of thousands. 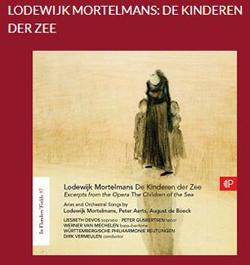 ‘Ellen’ on the text by Frederick van Eeden (Gijsbertsen) and 'Als de ziele luistert' (Devos) complete the 'Mortelmans section', but there are still songs and arias by Peter Aerts and August de Boeck. Liesbeth Devos sings the Cantilene of Francesca from La Route d'Emeraude of August de Boeck : This CD is a MUST! Paris as last stage has a great musical history, but what's about all the other stages in this Tour de France? A small 'Tour' along the places where the Tourcaravan will stop next month, and see which composers have their names attached to it. Extract :The third stage starts in Antwerp, where several composers lived, although some of their names might be unknown to certain music lovers : Jan Blockx (1851-1912), Louis Marischal (1928-1999), Marcel Mattheessens (1936) and Carl Verbraeken (1950) for exemple. This last one made compositions of which some titels are most appropriate to the Tour, such as ‘Frustration’, ‘Inner Joy’, ‘Congratulations’ and – when unavoidable falls occur – ‘I wear your wounds’. More famous is the Antwerp composer Lodewijk Mortelmans (1868-1952), nicknamed as 'the flemish Brahms'. Mortelmans was for the Antwerp music scene, what Willem Mengelberg meant for the one in Amsterdam. He invited composers such as Mahler, Strauss and Rachmaninov to his city to conduct their works and stood himself on the stand next to famous solists such as cellist Pablo Casals and violist Pablo de Sarasate. He really did put Antwerp on the map. He loved competition, which appears while he became one of the founders of the Ysaÿe Concours, which later became the Queen Elisabeth competition. The third stage ends at the well-known steep Wall of Huy, a town where composer Lambert Chaumont (1630-1712) spent his last fourty years of his life as a priest. It is in the Ardennes where he wrote his magnificient organ music. Musicologists today still are amazed of the high quality of his works. ‘Het Wielewaalt en het Leeuwerkt’, as if this man hardly composed any other pianowork. Finally, Lodewijk Mortelman's Belgian debut as Belgium's first outstanding symphony orchestra will be given 'discographic honours'. Two of the works recorded here, 'Homeric Symphony' (1898) and 'Morgenstemming' (1922), have also appeared in recent years in the series 'Repertoire Explorer' in study score, which proves the dissemination and verifiability of the results of immense services. Mortelmans was a pupil of Peter Benoit, the 'father of Flemish music', who with his sacred magnum opus 'Hoogmis' had set high standards of conservative character. Mortelmans' house gods were Bach, Beethoven and Wagner, and this is clearly audible. Wagner's melodies and harmony, in particular, have left their mark - in a soothed, perfectly crafted manner. In the 'Homeric Symphony', the three-quarters of an hour's masterpiece, Mortelmans proves to be a rapturous poet of classical symmetry and builds the grand architecture with extreme economy from a minimum of thematic material. A moderately heroic, heartfelt, hymnically luminous and generously conceived opening movement is followed by a tragic lento as the centrepiece of the work, which in its objectively archaic mettle becomes a captivating funeral march and in its pure beauty and size develops a seemingly endless carrying capacity of the inner tension. This is followed by a deliberately ephemeral, gently ornamental, art nouveau siren scherzo with a moving trio and a majestic, triumphant, noble finale that, despite all its splendour, never changes into affirmative expression. Included are two symphonic poems, the early 'Mythe der lente' (1895) with a pantheistic-fantastic program borrowed from the Edda, and certainly with romantic drama, and the late 'Morgenstemming' - pure sensual painting in solid yet fluidly gliding form, a play of predominantly natural-intimate colours and moods, embedded in a clear motivic-harmonic structure and - comparable to the Austrian Joseph Marx or the lyrical creations of Respighis - in the basic product a symbiosis of melancholy and lightness like a budding, dreamed echo of lost times. The Royal Flemish Philharmonic Orchestra under the baton of Martyn Brabbins plays a dignified role in a transparent, splendid sound. 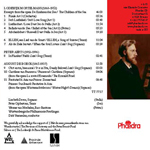 ..This is the first CD of the ‘Royal Flemish Philharmonic’ on the Hyperion label. 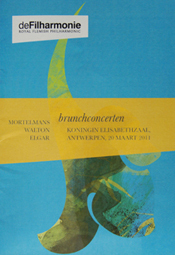 Conductor Martyn Brabbins and the Orchestra – deFilharmonie – have previously worked together. As on this disc, hard work went into it, and the result sounds like wonderful. 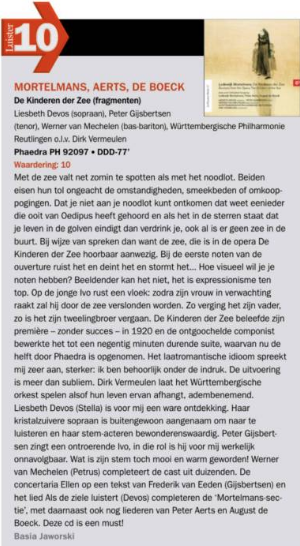 An extract of the article by Gerard Van Der Leeuw, 'Actiekrant artEZ nr 161' of the Conservatoiry of Zwolle in the Netherlands. Honestly speaking, ever heard of Lodewijk Mortelmans? 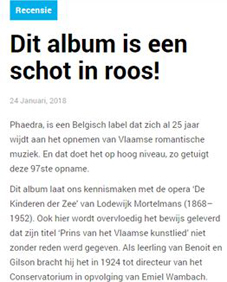 Lucky a flemish company who's not blinded by any daily illusion, who steadily continues to launch magnificent recordings of unknown or hardly played works.. we're talking of Phaedra, and of their series In Flanders' fields. 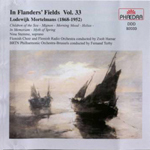 I was listening to their album Nr.33 of this series, covering works of Lodewijk Mortelmans for orchestra. As i carried on listening, as it went on, my admiration turned into total surprise. I heard a magnificent music, inspiring, well orchestrated with depth and enthousiasm, as rare as possible coming from this calm countries. 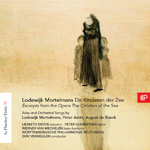 If you only listen to 'de Dageraad en Zonsopgang' of his opera 'De kinderen der Zee', the absolute top!! Why in the name of our muses this music remains so unknown? Mortelmans has been a contemplative nature which for his songs has been guided naturally to Gezelle texts, of which he has sung the poetic essence in melodies based on a harmonization filled with mood, some of which must not give way to the noblest of what this genre has to offer in world literature. His piano compositions are for the pianist grateful literature full of poetry. In the expression of his problems he has therefore reached heights in various symphonic works that bring him a moment near the greatest. In particular, his' In Memoriam' is a chunk of reflection which, in a consistent repetition in which every grief motive, stripped of every pathos, is expanded and flanked by a funeral march rhythm that is captivating in its simplicity, achieves an expressive irresistibility that, in analogous points of attention, was not surpassed either by Beethoven or Wagner. And I don't know any songs, in which the music and the word sound as intimately and harmoniously as they do in the songs of Mortelmans, which are among the most beautiful that we possess here in Flanders..
Far too little known, what a treasure of Lieder, real gems all of which have been composed by Lodewijk Mortelmans.. 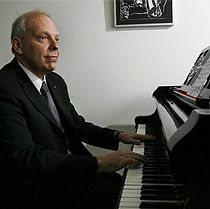 He makes Lieder like Beethoven, Schubert, Grieg, and others understood it.. They come close to the Wagnerideal; poem and music complement and reinforce each other..
Mortelmans is a composer, his muse does not sing common subjects, he is not oppresssed by the small daily things. The free open nature with its infinite richness of colour, in which he lived so gragely, has made him a painter: the immensity that surrounds him, when he is alone with thoughts, has carried his poetic soul to the higher.. But Benoit's most splendid pupil in undeniably Lodewijk Mortelmans, whose name enjoyed a good sound in Flemish music of his time, not only because of his numerous symphonic works and the opera 'De Kinderen der Zee' (The Children of the Sea( (converted into comedy by the composer himself), but more particularly because of his very subtle and profound songs after poems by Guido Gezelle, Hugo Verriest and Pol de Mont. In his generation, Mortelmans represented the first name of style. Everything he left behind bears the stamp of a solid personality and of a desire for flawlessness in design..
Mortelmans is one of the most important figures in Flemish music. Rather classical than romantic of temperament, he is a man who attaches great importance to the formal. Although Romanticism was his starting point, Mortelmans did not allow himself to be carried away, but rather he sent his music with a lot of willpower to become more clear and elegant. Even the pieces he wrote in the style of continuity have a strong structure, and never fall into the unrealism of anarchic chromatism. His work is inspired by a great lyricism, tempered by his strong logical spirit. This is his character, inclined to contemplative serenity, to transform the great passions of the soul into rest and light. The lyrical, intimate atmosphere is what stands out in his work, and what gives him his place in the history of Flemish music. Only he could speak with the same disarming simplicity as Gezelle, about the secrets of the soul, when she quietly wants to listen and sing with herself.. I am very sorry not to be able to be present to celebrate the most sensitive among Flemish composers, a truly modern Schumann and the most penetrating interpreter of Guido Gezelle's spirit.. Finally I can write you and thank you from the bottom of my heart for the gift, so entirely artistic, that you addressed to me. I find your melodies admirable of purity, simplicity, expression and above all of a sincere accent that is very rare today. All five are very interesting... but above all there are 2 masterpieces (the word is not too strong, because these two Lieder are perfect in form and feeling), I want to talk about the 'Twee Betuwsche Liederen'. It is impossible for me to prefer one to the other because in this music there is really not one note too many. The alternation of the major and minor modes is astonishingly expressive and, at each note, it is a harmonic find, despite the apparent simplicity of the writing. No wonder your Lied 'De Bloemen en de Sterren' (The Flowers and the Stars) won first prize in Roeselare, is that the jury has been absolutely fair there - because there is no musician in Belgium who can write 3 pages so pure of feeling and so sparkling of musical form - it's a really surprising ease of realisation and, moreover, it's beautifully constructed.